Suppression Pumps, Water and Wastewater Pumps, and H2O Works™ Municipal Pumps. Around the globe, wherever liquid moves in large volume or at a high pressure, you will find Patterson heavy duty pumps and packaged systems. 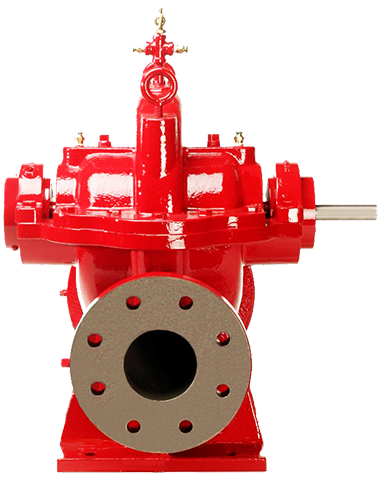 Patterson Pump Company is one of the world’s leading suppliers of quality pumps for the Fire, Municipal, Industrial, Flood Control, Plumbing, and HVAC Markets. Patterson has built a firm reputation of reliable pump installations worldwide – whether satisfying urban water and waste demands; harnessing and controlling ravaging floods; reclaiming arid deserts; taming rampaging and devastating fires; or protecting the planet’s ecological balance. The company offers an extensive line of products that serve customers worldwide. This means lower cost of ownership over long life cycles. For reliable hydronic heating and air conditioning, Patterson has a full line of pumps, engineered products, and system accessories. The company’s pumps offer benefits gained by years of refinement, with exceptional hydraulic performance and low vibration and noise levels. Field experience taught Patterson what works best in heavy-duty pumping, and the engineers apply this knowledge within and across product lines as modular design concepts. Patterson’s preeminence is grounded in their ability to integrate these design concepts into solutions that are 96% special configurations. While unique, the special configurations are usually variations on proven core designs. Easy access and maintenance drive the design concepts – wherever possible incorporating features such as back pullout access and bearing housings mounted directly to the pump volute. Gauge taps at the suction and discharge connections provide complete monitoring flexibility. Special seal and impeller technologies reduce axial thrust to help lengthen maintenance cycles. Precision cast, machined, and dynamically balanced impellers minimize vibration and maximize bearing life. Horizontal Split Case : Patterson horizontal split case double suction pumps develop flows to 6,000 gpm, with heads to 160 ft TDH. 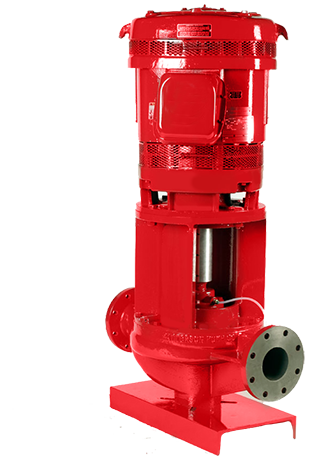 End Suction: The end suction pumps produce flows to 2,500 gpm, with heads to 400 ft TDH. Vertical In-Line: The models have flows up to 10,000 gpm with heads to 400 ft TDH. A split coupling design is optional under 30 hp, and standard above 30 hp, with a double suction impeller on the largest sizes (12 in. and 14 in.). Vertical In-Line With Integrated Drive: Optimum efficiency for your success. Avoid getting lost with start-up, integration of your drives and maintenance needs. New and intuitive built-in functions simplify support and diagnostics, allowing issues to be solved quickly and comprehensively. HVAC Pumping Accessories: Patterson offers a full line of performance-matched auxiliary accessories in order to provide complete HVAC fluid flow solutions: from circulators, diffusers and multipurpose valves to air separators, heat exchangers, flexible connectors and more. Ensure optimal system performance, efficiency and sustainability with Patterson engineered products and accessories. As your total HVAC resource, Patterson also offers applications engineering training and support. To learn more about the company, its products, and all the support they provide, click here.